The problems with fast food are widely known in today’s hyperaware society. But what are the alternatives? When shopping centers and public venues are crowded with chain fast food vendors, it can be hard to find what’s actually good for you – and even harder to find what’s good for your environment, economy and community. Fortunately, the growing “slow food” movement seeks to change that. The slow food movement is all about promoting a healthy lifestyle, a greener future and preserving the culture of food. It encourages people to choose locally grown (and GMO free) food and traditional recipes over mass-produced and globally distributed options. Local food is better for you because it usually contains more natural ingredients and no harsh chemicals. It’s better for the environment because it does not need to be transported across the country or around the world, reducing the use of fossil fuels and emission of greenhouse gases. Finally, local food is better for the community because it preserves the diverse traditions and flavors of the local culture. On an ecological level, this diversity of crops is necessary to sustain the various ecosystems that surround us and to preserve the soil for future growth. By encouraging people to seek out local food sources, the slow food movement presents an important opportunity for local businesses. The movement drives supporters to local farmers’ markets, food stands and slow food restaurants; while educating communities on the importance of choosing these local options over national food chains. In this way, the slow food movement attracts consumers to local businesses and the idea of eating and buying local. Supporting the slow food movement is as easy as visiting a local farmers’ market or food stand in your community. While there, you can talk directly to the farmer who grew your food to ask questions, learn new ideas and get to know the community better. Farmers’ markets offer the freshest seasonal produce and some even collaborate with local artisans and other local businesses to increase their diverse product lines. 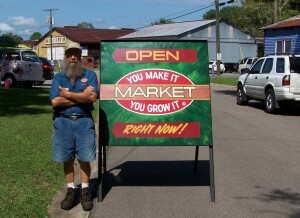 Take the You Make It, You Grow It Market in Tallahassee, Florida, for example. At this open-air market, which is open on the second and fourth Saturdays of the month from September to December and March to May, local growers, artisans and crafters come together to showcase their goods and connect with the community. The market provides a way for consumers to find healthy, fresh food, as well as high-quality local goods. “If you know your farmer, you know your food,” says Ken Bernhard, owner of You Make It, You Grow It. “This also applies to all of the goods sold at our market and other markets in the area.” Markets like You Make It, You Grow It are an innovative way to let consumers shop local for food and goods at the same time. In a world dominated by 30-minute-or-less delivery and 24-hour superstores, it’s good to know that some things still move slowly. The slow food movement challenges consumers to keep things local and teaches them that local food means a healthy lifestyle. To find a farmers’ market near you, search the Independent We Stand locals only mobile app or website search. To learn more about the slow food movement and get involved in your community, find a local slow food chapter. Independent We Stand is dedicated to helping independent businesses across the country engage their communities and encouraging customers to buy local. If you’re a business owner, get buy local resources, tips and news by registering at www.independentwestand.org/membership/. If you’re a consumer, take the pledge to buy local and find local businesses in your community at www.independentwestand.org/take-a-stand/join-the-movement/. 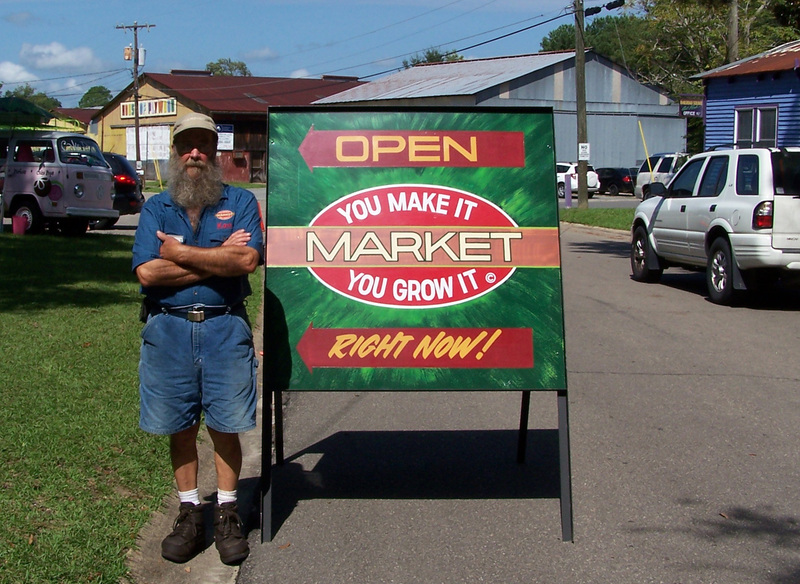 Read more about farmers markets, Florida, slow food movement.